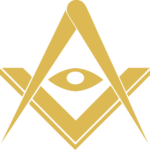 As a Universal Body the E.M.O.A.P.R.M.M contains several "Associate Rites", often referred to as "Appendant Bodies" within Freemasonry. As an Outer Order of the "Sovereign Sanctuary International" members of the E.M.O.A.P.R.M.M may petition to join any of the public Associate Rites upon completion of the Third Degree of Master Mason. While the existence of most of the Associate Rites of the Order is made public to members as well as enquirers, those Rites which constitute the Inner Order and which are not on public record, are available to higher degree members, upon invitation.